I've been riding Bromptons for 16 years, selling them for nearly 10. All of this time, Brompton's shifters have worked well. But the #1 most common comment among people trying Bromptons for the first time, after "wow, that's a lot nicer than I expected!" has surely been "what's with these chintzy shifters?" I've always deflected with assurance that they are highly functional, easy to use even for people with arthritis, and that they don't break other than in crashes, at the same time acknowledging that they can rattle and don't look or feel particularly cool. "Part of Bromptons' quirky charm..."
Brompton has addressed this issue decisively among other 2017 revisions, now beginning to arrive at dealers. The new shifters follow current fashion of being below the bars, offer a very clean modern appearance with function labeled, don't rattle at all, and are a little lighter and more space efficient than what they replace. I have no doubt that they'll soon become broadly well-loved, the old style fading into obsolescence or the eBay vintage collector fringe. But... for all my warm anticipation, after trying them I don't want to switch personally, because I don't ride with my thumbs under straight handlebars. I've never found rotating my palms downward that way comfortable. Instead, on Bromptons, I (and a very high percentage of our customers) install Ergon grips with bar ends, that let me keep my whole hands topside, wrists facing each other more nearly than the ground, with a very large support area for comfort and control. 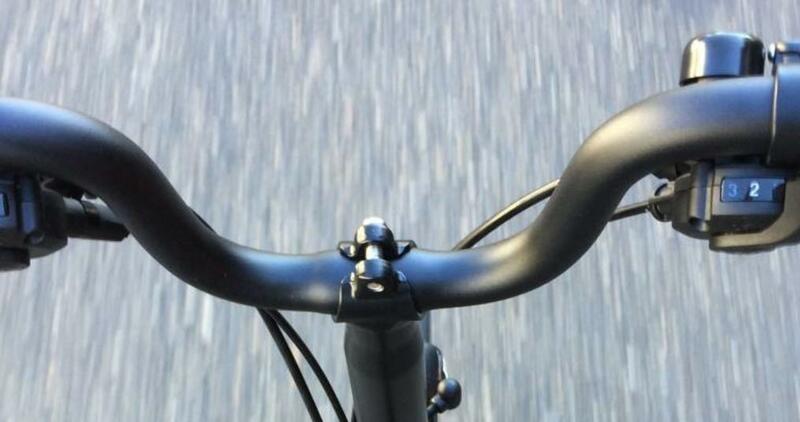 This means the old style shifters, also on top of the bars, are more accessible. Furthermore, the old 3-speed shifter allows a jump from 1-3 or the other way in a single quick motion, while the new ones require 2 distinct clicks, slower. Most contemporary shifter designs are like this, which I've never appreciated for internally geared hubs. To me, having to click sequentially through intermediates degrades one of the key benefits of internally geared hubs, namely to be able to shift to any gear from any other rapidly with a single movement, whether pedaling or not. I suppose I should self-marginalize my opinion now by declaring preference for non-indexed friction shifting on derailleur-equipped bikes. Old school. Don't mind me: genetics suggest I'll be dead in 50 years. Our friends at The Path Less Pedaled have chimed in on the new shifters. Check out their video review on the 2017 Brompton changes.